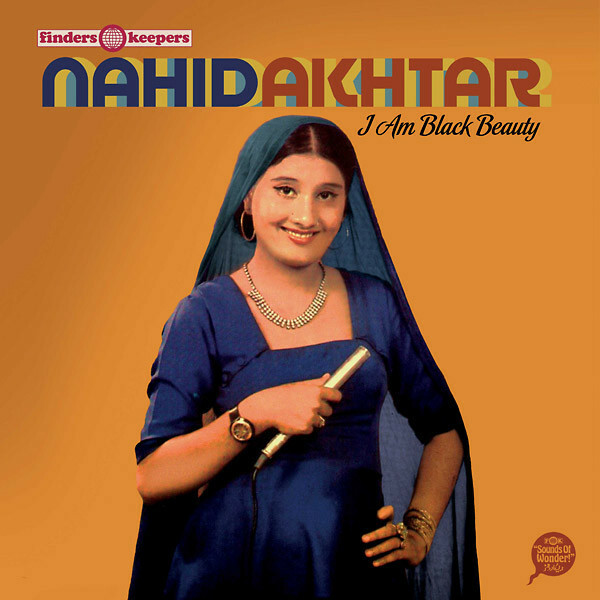 After introducing us to Nahid Akhtar through the Sounds of Wonder 2009 various artists compilation, Finders Keepers released I Am Black Beauty, an album composed of Nahid Akhtar’s most varied songs. Interwoven textures, riding some modulated waves of Lahore. Akhtar was discovered by film composer Manzoor Ashraf and launched her into a career as a playback singer for movies that spanned for approximately 10 years. Lahore cinema (nicknamed Lollywood) was never as popular as its Indian counterpart, but nevertheless its singers were of the same caliber, with Akhtar having the same strength as Asha Bhosle. The song Some Say I Am Sweety introduces her versatility with an English approach rather than the usual Punjabi one. Her features with the fantastic Tafo brothers are also to be devoured; one of them is also included in I Am Black Beauty, in Yeeh Aaj Mujkho Kya Huwa. Lovely piece.